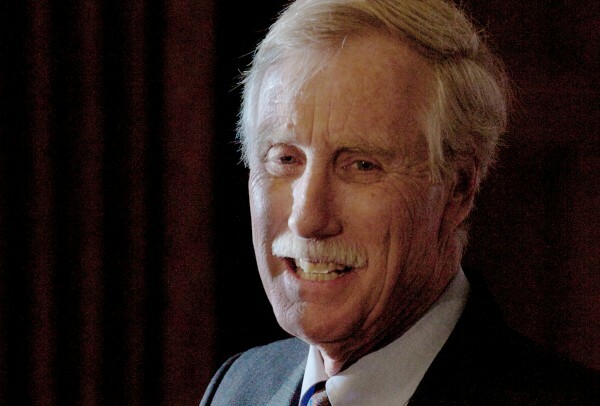 PORTLAND, Maine — A congressional inquiry is raising questions about a $102 million federal loan guarantee for a wind power project in which U.S. Senate candidate Angus King had a stake, yet King’s former company contends it followed federal guidelines and did nothing wrong. The report by the House Committee on Oversight and Government Reform this week focused on federal loans and loan guarantees to dozens of green energy projects after the high-profile failure of California-based solar company Solyndra. Among them was Record Hill, a 22-turbine, 50-megawatt wind power project in Roxbury. Rob Gardiner, president of Independence Wind, one of the partners on the Record Hill project, said the company followed Department of Energy guidelines and, unlike Solyndra, is repaying the loans. “Our project met all of the qualifications, despite what the report might say,” Gardiner said. In Tuesday’s report, the congressional committee questioned whether the technology employed in the Record Hill project was sufficiently innovative to qualify for loan guarantees, and whether loan guarantees were even necessary given the strong credit rating of Yale University, one of the project partners. The report was issued two days after King, who’s running for U.S. Senate as an independent, completed the sale of his stake in Independence Wind to Gardiner, the company’s co-founder. Lance Dutson of the conservative Maine Heritage Policy Center described the timing as a “miraculous coincidence” but acknowledged he didn’t know whether King or Independence Wind was aware of the investigation. King and Gardiner were co-owners of Independence Wind until Sunday night, when King completed the sale of his share to the former president of Maine Public Broadcasting Network. King said he sold his stake in the company to avoid any appearance of a conflict of interest during his Senate campaign. The King campaign brushed aside any questions of timing, saying he didn’t know about the federal report and that he initiated the sale more than a week before the report came out. “Angus is smart, but he’s not clairvoyant,” said Crystal Canney, his spokeswoman. Dutson said the bigger issue is whether King’s company received loan guarantees under false pretenses, and how King would handle the issue of loan guarantees for renewable energy if he’s elected to the U.S. Senate. But Gardiner described the attacks as part of a larger political battle. “What’s really going on is a battle between those who want to see renewable energy supported by the federal government, moving to a green energy future, and those who want to stay with fossil fuels,” Gardiner said.